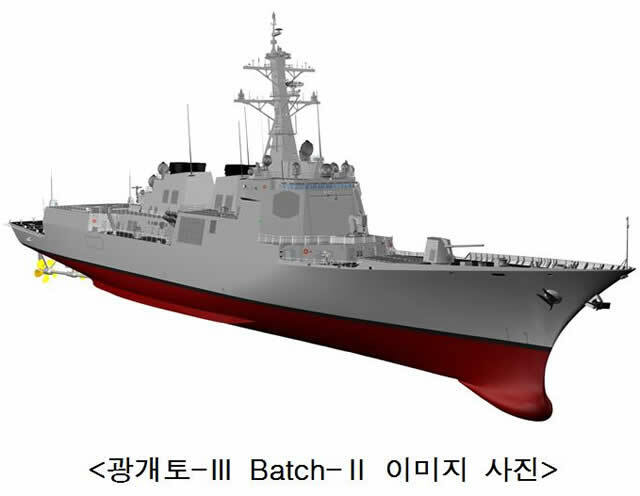 "South Korea on Wednesday approved a basic plan to develop a homegrown Aegis-equipped destroyer that will enhance the Navy's capabilities to defend greater maritime interests, Seoul's arms procurement agency said…." Looks suspiciously like a Burke, but with a RAM launcher instead of the forward CIWS. A good ship design is hard to beat. I think I heard at one point that the USN was considering / wanted to replace CIWS with either RAM or ESS, but had to delay it due to the cost. Nice looking ship. The South Koreans Naval power has greatly improved over the years.